AMHERST — Over the summer, a group of 13 international students, from countries ranging from Peru to Uzbekistan traveled from Amherst to Agawam for a taste of the American life. The group was here at the University of Massachusetts Amherst to improve their English, and a day at Six Flags New England was intended to introduce them to a fun and new experience. But for two Palestinian students, the day was anything but fun. 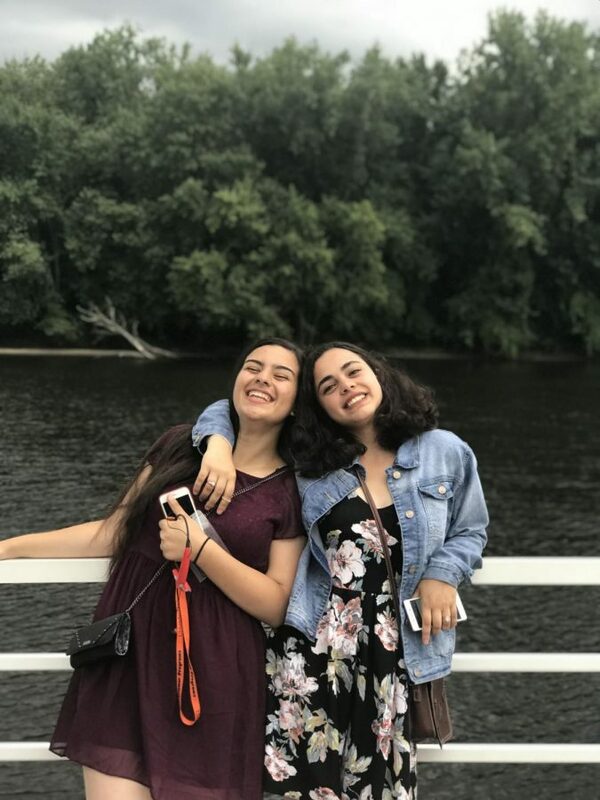 Dema Abdellatif and Dalia Alghalban, two 16-year-old Palestinian high school seniors who live in the Gaza Strip, spent the day worrying about their families. They live in a Palestinian territory governed by Hamas, an Islamic group, and the site of protests this year along its border with Israel. They thought that a few months at the University of Massachusetts would be an escape from their lives back home. They’re finding that it might be harder than they thought. “I always think about what is happening at home because it’s always unpredictable,” said Abdellatif. Abdellatif and Alghalban attended UMass’s EducationUSA Academy to get help in improving their scores for the Test of English as a Foreign Language (TOEFL) and SAT. The program also provides international students with a glimpse of the college life, and a chance to experience a different culture. Thirteen international students from Palestine, Georgia, Spain, Egypt, China, Luxembourg, Uzbekistan, Peru and Italy traveled to the U.S. to prepare for their college applications. The students went on college tours, wrote a personal statement, and some explored the STEM field to discover what major they wanted to pursue. When the program took them to Six Flags, Alghalban and Abdellatif were eager to go until they got the devastating news from their family that Gaza was being attacked. They were scared, because they didn’t know exactly what was happening. 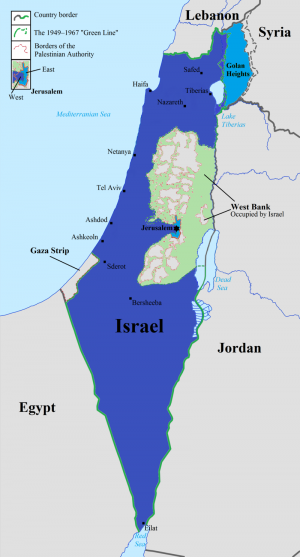 The Gaza Strip is a 141-square-mile, self-governing Palestinian territory located on the border of Egypt and Israel, and home to 1.5 million Palestinians. This is a territory that Israel and Palestine have been fighting over for a long time, and the situation intensified when Hamas took control of the region in 2007. Israel and other countries around the world consider Hamas a terrorist organization because it refuses to negotiate with Israel and will go to any means possible to remove the Israeli occupation. Gaza has been a site of many protests this past summer along the border, which has resulted in many deaths and injuries, including some of their acquaintances. The young women are surprised at the stereotypes American have about Palestinians. Abdellatif says that when she meets people, they are stunned to learn that she is Palestinian. “Israel wants the world to believe that we are terrorists and they want people to know that we are born to hate and not to live normally or think normally,” said Abdellatif. She says she wants the world to know that they are not as Israel portrays them to be. They don’t think like terrorists, they are not born to hate, they fall in love, they celebrate Christmas, they dance, and they are just normal people and want to be treated that way. Alghalban agreed. She believes that before people pick sides in the Israeli-Palestinian conflict, they should look at all sides and do some research. The young women have experienced the impact of the conflict, which has gone on for several decades. Alghalban and Abdellatif said that the war affected every single part of their everyday lives. During the war in 2014, Alghalban had 13 people sleeping on the floor because they had nowhere else to go and she couldn’t just turn them away. Ahmad Abu Hussein, a family friend and a “Dabke” coach of Adbellatif, was a Palestinian journalist, who was shot on April 13 at a Gaza border protest. Abdellatif and her dance class continued on with the Dabke, a traditional folk dance, and performed at their school to honor him. Another incident that affected her family’s life was the death of Razan al-Najja, a 21-year-old Palestinian medic, who was shot as she tried to help wounded demonstrators on June 1 at the Gaza border protest. Abdellatif says she never feels safe, even in her own home because her “house is always dancing,” because of constant bombings in the surrounding areas. Abdellatif remembers in 2014, her neighbor’s house was bombed by four F16 rockets. Her brother, who was sitting in the kitchen at the time, got a piece of a rocket in his leg. “So many people died that day, so many people,” she said. Her family was hesitant to call the ambulance because many people at the time were being killed in ambulances. “Nothing was really safe,” Abdellatif said. Her father, who is a doctor, tried his best to secure the blood but after 10 minutes, they had no choice but to call the ambulance. Both their families fear for their lives every day. They always have all their important documents, clothes, money, and other things that they think are important at the door, in case they get attacked and need to evacuate. During the war in 2014, they, and many other women slept with their everyday clothes and wore their Hijabs to sleep because they didn’t want to waste time thinking of what to wear when they would be forced to evacuate. “When you take a shower, you think about it 100 times,” said Abdellatif. During the war in 2014, there were designated quiet hours with no bombings and this is the only time they showered. “We never feel safe, and we should feel safe,” Abdellatif said. Alghalban and Abdellatif hope that by coming to UMass Amherst, they will create lifelong international friends and have an understanding of what they want to do with their lives in the future.